Studies have shown that children who have the opportunity to read out loud gain in poise, confidence, and reading skills. 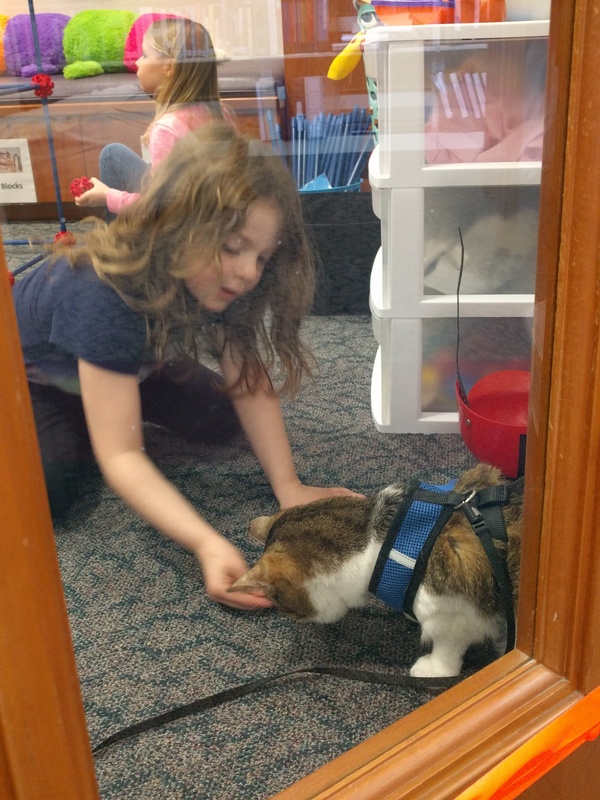 At Macedon Library, we offer your child the chance to read to an unusual listener: our resident therapy cat, Kipper. Kipper is a laid-back, one-of-a-kind dude who started life as a stray but now works as a therapy cat throughout Wayne County. He enjoys good literature and likes children, especially when they scratch him on that good spot under his chin. Why not bring your child by and have them pick out a book to read to Kipper, who will be waiting for them in the Discovery Room.